Discovery Kindergarten is a free, fun resource for all incoming kindergarten students, attending any school. Starting school is a milestone in the life of every child, yet in Shawnee County, more than 1,300 children have not had the opportunity for a formal preschool experience. As part of a community-wide goal of having every child ready for school by the age of five, the Kansas Children’s Discovery Center is inviting incoming kindergarteners alongside parents, caregivers and community organizations that support children and their families as they prepare to launch into school at Discovery Kindergarten! 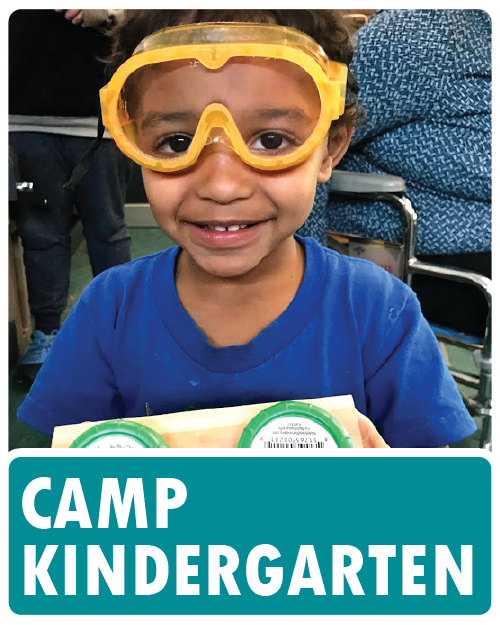 Camp Kindergarten helps get kids ready for school! Children and their caregivers come to the Discovery Center when the facility is normally closed for a special educational playtime and chance to explore a simulated classroom with teachers. Advance registration is required. Can’t attend your district day? No problem! You may register for any session, subject to capacity. Camp Kindergarten ayuda a los niños prepararse para la escuela! Los niños y los que los cuidan llegan al Discovery Center en un día cuando normalmente está cerrado para un tiempo especial de jugar en una manera educacional y para un chance de explorar un salón de clase simulado con maestros! *Inscribir a los niños con anticipación es un requisito. No es problema si no puede llegar el dia que le corresponde a su distrito. Puede inscribir al niño en cualquier session, si hay cupo. 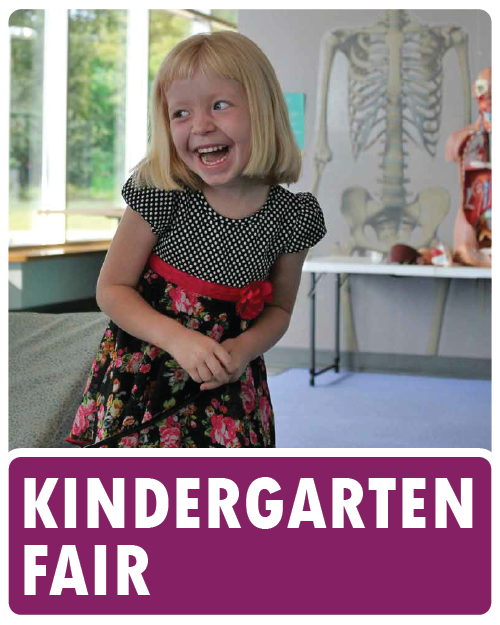 Discovery Kindergarten Fair is a fun-filled free event to connect incoming kindergarteners and caregivers with resources to get them ready for school. Kids will learn about riding the bus and what to expect in the classroom. Health screenings will be available and representatives from community organizations will be on-hand to offer resources and answer questions. Registrants will get a free book from the Topeka and Shawnee County Public Library. Discovery Kindergarten Fair - La feria de descubrimiento para kindergarten ayuda a los niños y adultos aprender cómo usar el bus, que pasa en un salón de clase, pueden recibir un examen de salud, conocer representantes de organizaciónes en la comunidad, recibir recursos gratuitos, y jugar en el Discovery Center! También vamos a tener libros para regalar de la TSCPL biblioteca. KCDC thanks the following community partners for their support of Discovery Kindergarten. Students from all area districts are welcome.